The chain of lakes in the Swiftcurrent Creek drainage make for perfect family outings. The first portion of this hike is a level 0.25 miles to the cutoff for Fishercap Lake. A short trip down the unsigned spur trail to Fishercap Lake gives you an opportunity to see moose that frequent that area. Back up on the trail, you will continue to hike through groves of aspens and pines with views of Grinnell Point and other surrounding peaks. Keep your eyes up on the hillsides for animals as Many Glacier is teeming with them. After close to 1.5 miles, you will come to Redrock Lake and will have a brief glimpse of Redrock Falls. 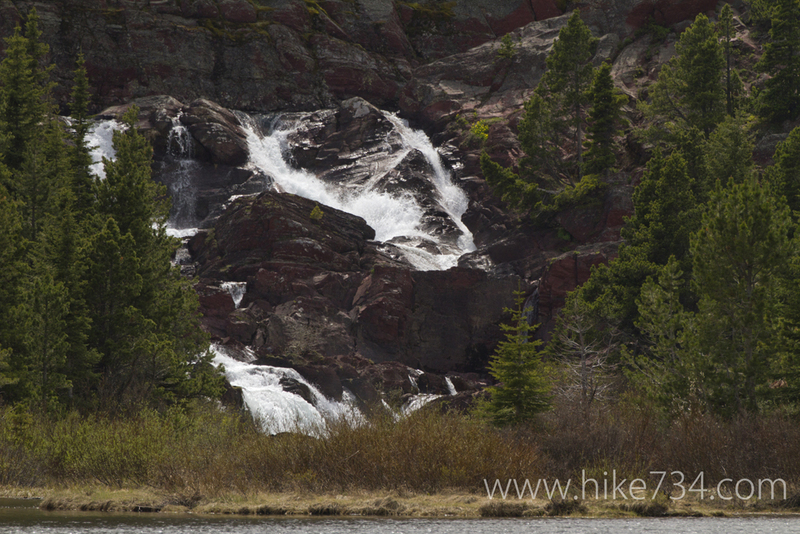 Follow the trail around to the head of the lake where a little trail spurs down to a beautiful cascading falls. 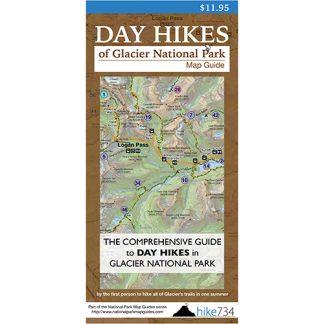 This hike is level and great for novice and experienced hikers alike. Also see the Bullhead Lake hike in 5-10 mile hikes for a longer trip to the next lake in the chain. Trailhead: Follow the Many Glacier Road straight to the parking lot for Swiftcurrent Motor Inn. The trailhead is at the west end.